MHW, short for Mountain Hardwear, is a wholesale manufacturer. Below are backpacks they sell well. Alpine climbing, peak bagging, ski touring, backpacking, cragging, day hiking, bushwhacking. Not all backcountry sports are the same, but everyone needs to haul gear. 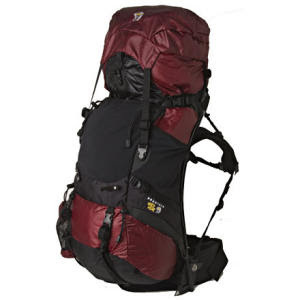 Comfortable, versatile, highly functional packs designed for backpacking and trekking – from quick weekends to the long haul. For travel, work, or around town – our sleek, functional daypacks are tough enough to handle your daily grind. Rooted in our expedition heritage, our Alpine Sport packs are for climbers and mountaineers. Find all the technical details you need for a summit bid or a day at the crags. Durable, versatile duffles designed to haul enough gear for an entire expedition. In 1993, a small group of people who had weathered years in the outdoor industry decided to get together and form Mountain Hardwear. In addition to working in the outdoor industry, the Mountain Hardwear founders were avid outdoors people themselves. Mountain Hardwear was the team's first demonstration of radical thinking; the company bet on passion and experience for innovative, technologically advanced products to bring together a product line within 90 days. Many people in the industry thought the task was impossible, but the Mountain Hardwear crew worked fast and smart—and introduced two products that are still in the line today: the Exposure™ Parka and the Sub Zero™ Jacket. Mountain Hardwear has grown quite a bit. The company has over 90 people in our California office, more than 35 sales reps and associates across the United States and Europe, and representatives in Canada, Asia, South America, Australia and New Zealand. And now, with the solid financial backing of Columbia Sportswear, Mountain Hardwear is free to develop even more cutting edge designs and products. MHW has always focused on bringing radical thinking to the gear they make. They continually challenge themselves to bring technical innovation to outdoor gear and to create detail-oriented design features that anticipate users' needs. They combine that innovation and attention to detail with superior product quality—backed with a lifetime warranty that speaks for itself. MHW—Radical Thinking—again and again. Employees and representatives continue to share a passion for the outdoors along with a passion for making innovative, technologically advanced gear. They keep their outdoor knowledge sharp by sponsoring over 20 athletes and using their real-world challenges and experiences to continue to advance the technology and fabrics they build into their products.